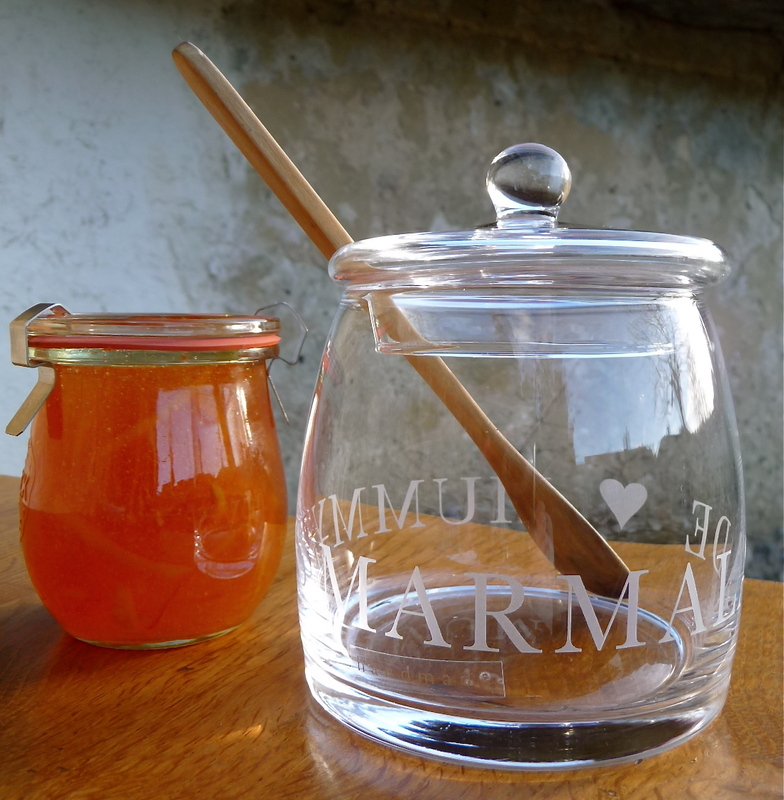 Sweet little Jam pot sold with a wooden Honey stirrer. 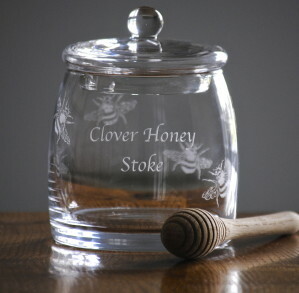 This is a perfect gift for Bee keepers or Jam makers. Personalise with a band of text around the base. 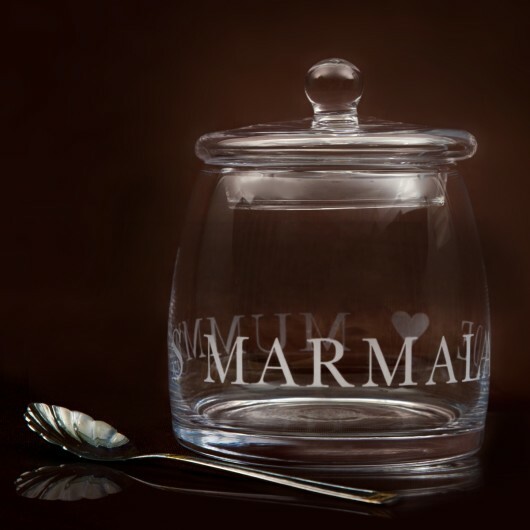 Thrilled with my personalised marmalade pot – it is just how I imagined it to be. Good quality glass and great engraving. 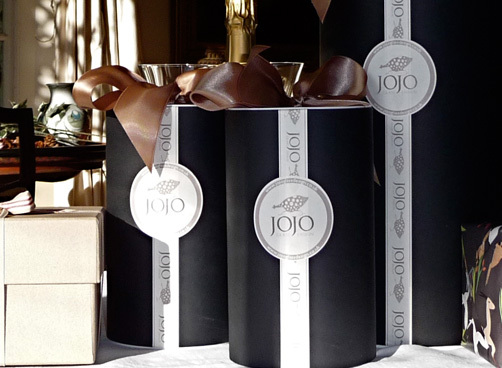 I am so pleased with It I have now put in an order for one of Jo Jo’s personalised cake stands as a special 40th birthday present!